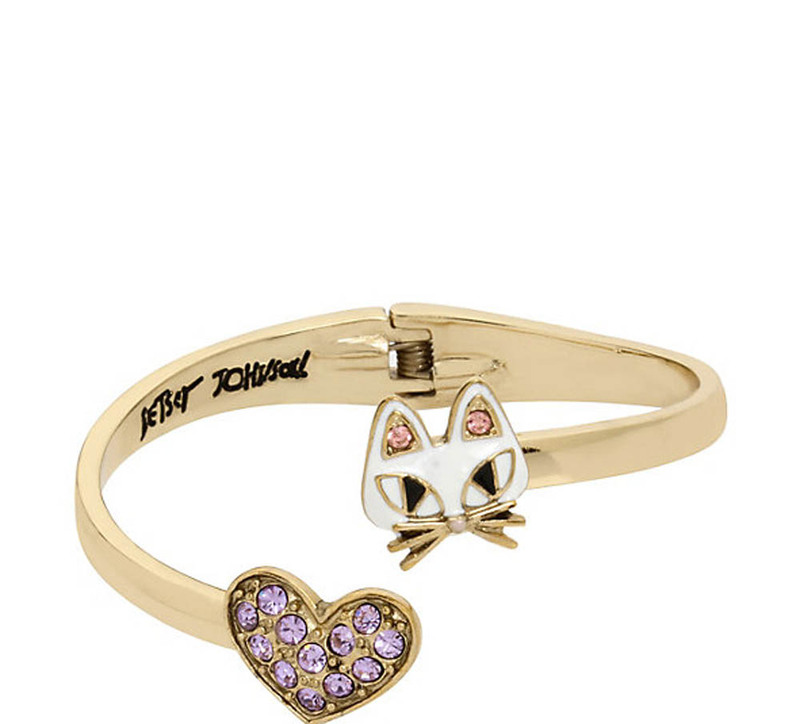 This clever, open bangle features a cat face and a crystal accented heart. Its whimsical composition will add an adorable touch to your look. Hold tone bypass hinged bangle with owl and pave crystal accented heart Hinge closure Antique gold tone Metal/glass Length: 7" Width: 0.25"-0.5"